“The weapons of choice in (today’s) new conflicts are not big-ticket items like long-range missiles, tanks, and fighter planes, but small and frighteningly accessible weapons ranging from handguns, carbines, and assault rifles on up to machine guns, rocket-propelled grenades, and shoulder-fired missiles,” explained William Hartung more than a decade ago in an article entitled The New Business of War. Hartung could have been describing Syria today. And no — the anarchic, violent rebels he describes in his article do not appear everywhere else in the world except in Syria. They are the Syrian prototype. Tens of thousands of Syrians killed, millions displaced as a result of violence in their direct environment. Would these figures be so wretched if there were no armed rebellion? Most certainly, no. 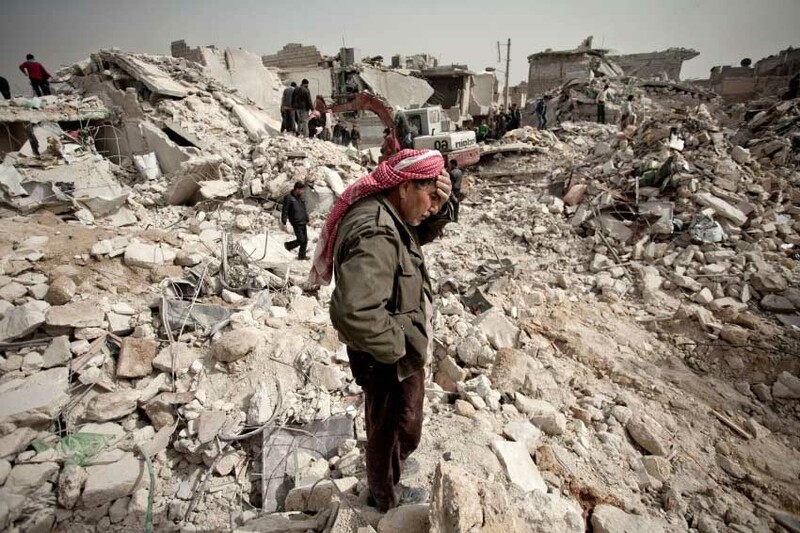 Since early 2012, the Syrian death toll has increased at least tenfold as rebel supply lines opened up, borders became more porous and the militarization of the conflict was accepted in the mainstream. The more protracted a conflict, the increased likelihood that a “culture of violence” will develop, further contributing to illegal and dangerous behaviors that most often target vulnerable civilian populations and cause a general breakdown in human rights conditions. Sending weapons? Forget about that peace plan then. Yet calls to increase weapons to Syria’s disparate militias still continue every day from other members of the UN’s Security Council. France, the UK and the US (FUKUS) — who claim they do not directly arm the rebels — have collectively provided hundreds of millions of dollars in “non-lethal assistance” to – er – make them more lethal. Hiding behind a much-touted public posture of “non-intervention,” all three have in fact “intervened” militarily in the Syrian conflict — from training rebel forces, to providing them with military intelligence in preparation for battle, to actually coordinating and transporting weapons into the hands of militiamen. Thought: You could sanction them, instead of helping them load the truck. 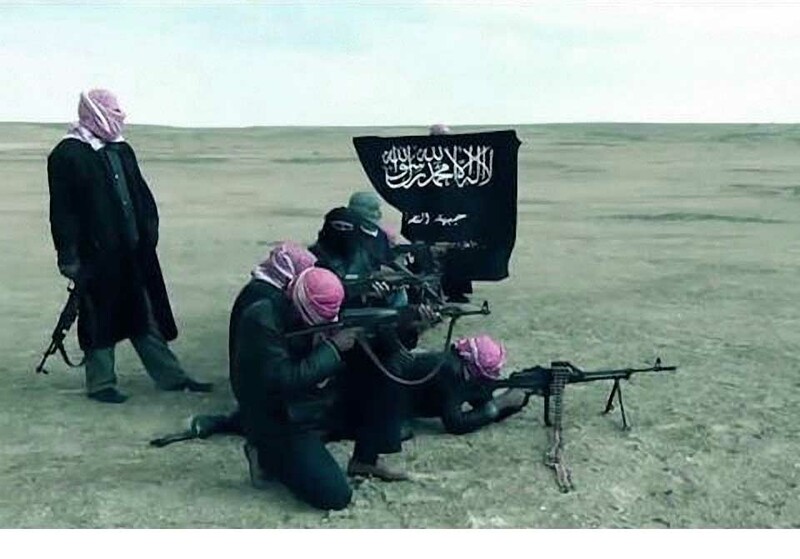 “They” are ostensibly Qatar and Saudi Arabia, two thoroughly undemocratic Islamist regimes who are aggressively vying for the upper-hand in the Syrian rebellion by channeling money and weapons into the hands of their preferred rebels. Washington has military bases — official and secret — in both countries, and therefore an awful lot of leverage. The FUKUS states like this setup. First, they get to maintain a sliver of deniability for weaponizing Syria. Second, all three Western nations are bankrupt on paper and have recalibrated their 21st century military strategies to utilize third parties to fight irregular wars against political foes. Two years into the Syrian conflict, there are no signs of “popular, peaceful protests” against the government of Bashar al-Assad. At this point, there’s little point in arguing whether there ever was significant enough opposition to unseat Assad through mass protest — a feature of other successful Arab uprisings. 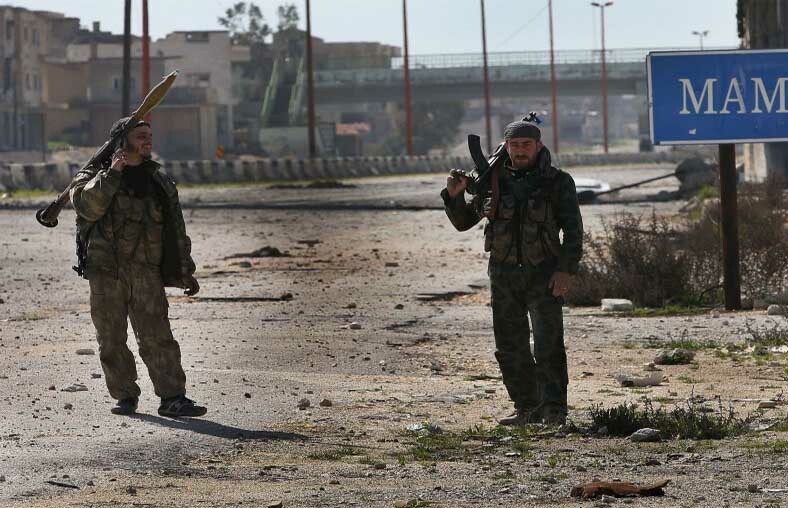 Today, the only players inside Syria to present any kind of sustained, effective opposition front are armed rebels. Neither the domestic nor external Syrian non-military opposition play a major role in anyone’s calculations, except for rubber-stamping some political decisions. Many opposition activists, who have nowhere else to turn in their quest to unseat Assad, still uncomfortably rally behind the rebels as their last shot to affect regime-change. But the fact is that there would be no sustained rebellion without massive direct assistance from foreign nations. Is there a “revolution” when the entire Opposition-Operation is coordinated on the Jordanian and Turkish borders, orchestrated from Doha, and funded by the Americans, Saudis, British, French, Qatari’s and other smaller players? The Syrian “revolution” — whatever many intended for it to be — is one large foreign-backed regime-change special op. With all the various interests vying for dominance inside this space, it is no surprise that the “rebellion” has disintegrated into violence and chaos. Even in early 2011, it was obvious that regime-change would need some help in Syria. From the first weeks, gunmen shot out at security forces from within peaceful protests; snipers targeted vulnerable civilians in areas where these deaths would have maximum impact; groups of armed men attacked army checkpoints, on and off-duty security forces, and pro-government civilians. The first external observers in Syria — the Arab League — saw rebel groups bombing civilian and military targets, pipelines, infrastructure. The next lot of monitors — from the United Nations — warned rebels to desist in their looting, destruction of public and private property, assassinations, kidnappings and vandalism. It took a very long time to concede that there are foreign jihadists in the battle — a story that went from “regime lies!” to “there are only a handful” to “yes, okay, a few dozen” to “thousands” today. We recognize that the majority of the militias are ideologically Islamist, with an increasing number declaring their partiality to sharia law and an Islamic state in secular Syria. We see with ever increasing frequency that rebel groups are carrying out crimes against humanity: summary executions, torture, kidnappings, human shielding — but we caveat it with “not as much as the regime,” although we have no independent measure of this. Since 2011, Syria has seen armed militias entering villages, towns and cities that are not their own and stripping them bare. Shops are shuttered in these areas, remnants of burned vehicles dot the roads, factories are looted and the spoils of war are sold off to purchase more supplies — or for profit. Revolution isn’t what all of them are after. Some seek their own turf; others want power, money. You’ve seen the videos of these militias. Unlike in 2011, these are now verifiable rebel videos — they have their own websites and they film their own atrocities. You wouldn’t want them in your town. We can’t even really get to know them well, such is their fondness for militia-musical-chairs, which they play every time an opportunity arises to trade-up to better-funded, better-armed groups. This fluidity gives us pause — there’s also no way to track their weapons. Question: Are there any decent rebels out there at all? Answer: Who cares? Weaponization is Syria’s biggest enemy — the bane of all Syrians today. Weaponization is the single biggest factor contributing to the escalation of violence in this conflict and, more importantly, is the single biggest factor precluding its peaceful resolution. Next week, a number of states backing a military solution inside Syria will meet to ramp up the conflict — the US, Turkey, France, UK, Jordan, the UAE, Germany, Italy, Qatar and Saudi Arabia. On the table is a discussion to send further weapons into Syria. Why? To protect civilians, to stop the humanitarian crisis, to stem the refugee problem, of course.